Written by Will on January 21, 2013 and posted in Crafts. So cake… everybody loves cake. 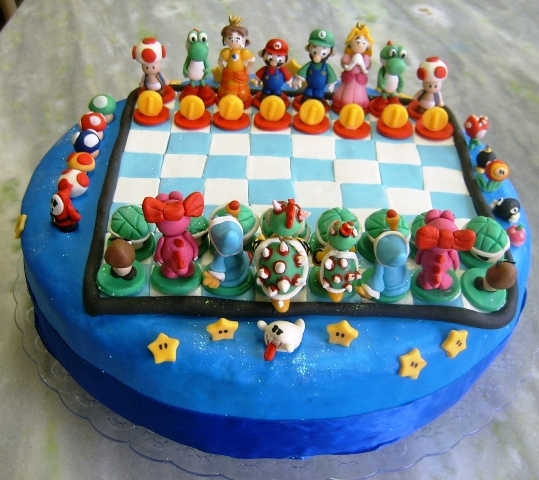 These are some of the most amazing video game cakes that I’ve found around the internet. I’ve made a set of game cupcakes before and was particularly proud of the Master Chief cupcake I made. However the creators of these cakes have mad baking skills! Since I mentioned my Halo cupcake I figured I’d start the video game cake post with some other amazing halo cakes. Obviously Mario is a popular choice for any video game cake. He’s been around for longer than some people have played games. So obviously I had to include a Mario cake section. 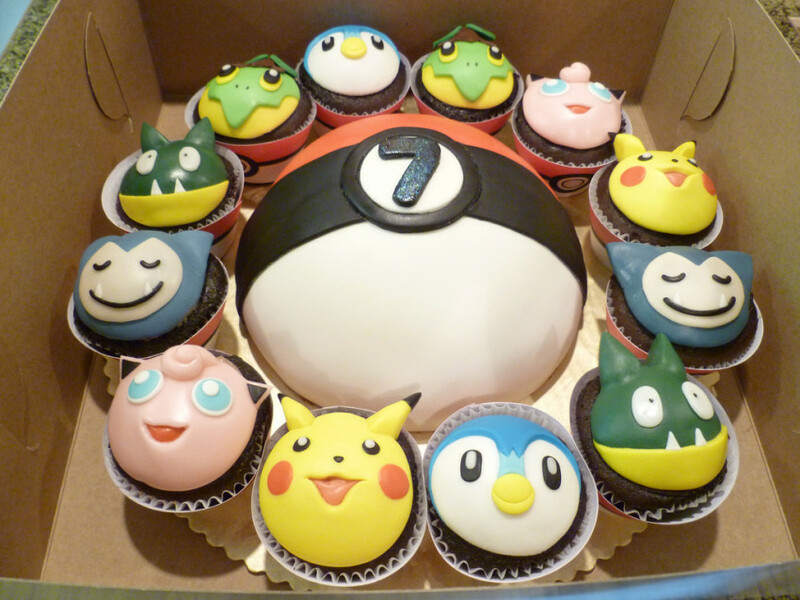 This one’s from Mingscakes on Flickr, she also done the Pokemon cupcakes. A whole table of Mario cakes and deserts! This is a yellow star marshmallow pop and I think I might make these myself. Susan Crabtree made a complete Mario cake party set for her son’s birthday. She made props, sweets and cakes! Collection of amazing Pokemon cupcakes featuring a giant pokeball, pikachu, jigglypuff and more. You gotta eat those Jigglypuff before they sing you to sleep! Qubert is one of the lesser known games from the early days of home game systems but he’s always been one of my favorite characters. He’s featuring in a soon to be released Disney film. Ever eaten cakes as awesome as these? Do you think you could make any of these cakes? Maybe you could and if so I want to know about it! Disclaimer: If I have included your photo without providing link credits then please tell me! 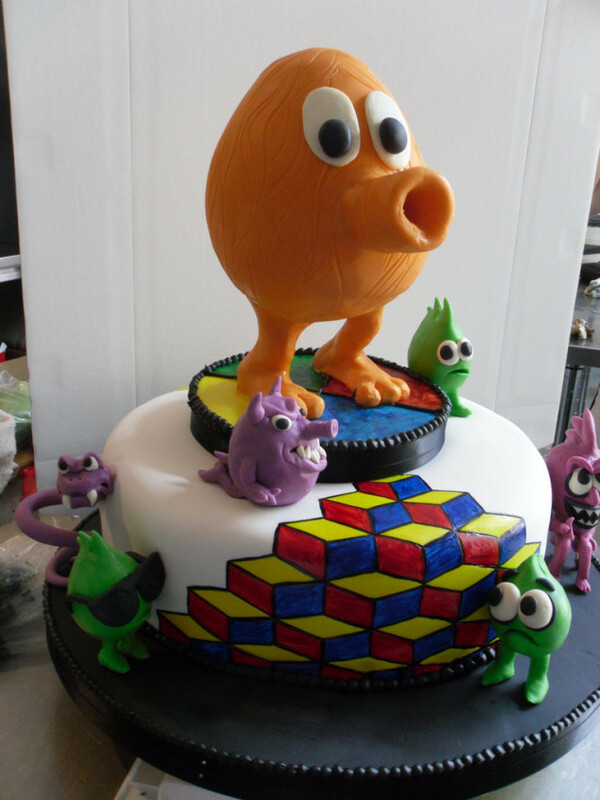 I would love to credit the bakers of these cakes but unfortunately a lot of people have used the pictures without citing so I couldn’t find out who baked these amazing video game cakes.